Having a strong interest in health and fitness from a young age, Liz has been involved in various sports including swimming, rowing, water polo & long distance hiking. Understanding the benefits of a healthy lifestyle, Liz has pursued a career in Physiotherapy, with a personal focus on ‘prevention as cure’. 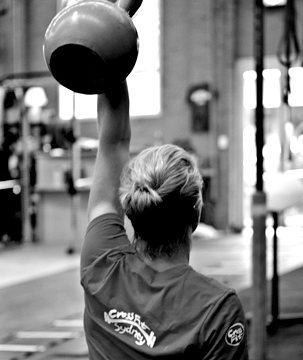 CF not only provides a superior platform on which to challenge yourself in ways you once thought were impossible, it also carries high potential for rehabilitation from injury and disease. Liz has applied core CrossFit movements and training principals to various populations to improve movement efficiency, decrease musculoskeletal pain and improve fitness. Liz is able to provide musculoskeletal assessment with a range of treatment options (Stretch Therapy, Massage, Physiotherapy, rehabilitation exercises) to reduce your pain, improve movement and assist reaching your training goals.